Cape Town - Global ratings agency Moody’s has placed a number of major South African cities and municipalities, banks, businesses and insurance groups on review for downgrade, after it did so for the country's sovereign long-term debt last week. This list include five banks, 12 cities and municipalities, three government-linked entities, five insurance groups and eight corporates. It has also downgraded embattled power utility Eskom. On Friday Moody's placed SA's sovereign Baa3 long-term issuer and senior unsecured bond ratings on review for downgrade. The Baa3 rating means the debt is still rated as investment grade, at one notch above junk status. Moody's is the only major ratings agency that has both South Africa’s foreign currency and rand-denominated debt at investment grade, after it was downgraded by both Fitch and S&P Global. In a statement on Tuesday afternoon, Moody’s said the decision to place local municipalities on review was principally due to the “close operational and financial linkages between the national government and municipalities, illustrating the centralised nature of [SA’s] local public sector”. It stressed that if the country’s sovereign debt were further downgraded, local municipalities' long term debt may follow suit. 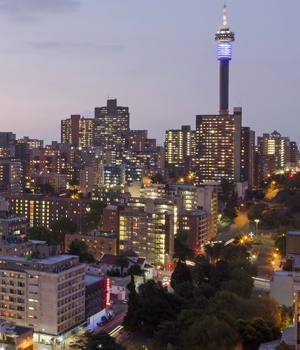 Some of the issuers affected by the review include the City of Cape Town, the City of Ekurhuleni, the City of Johannesburg, and the Nelson Mandela Metropolitan Municipality. All have a long-term Baa3 rating, which is one notch above investment grade. The three government-related entities are City Power Johannesburg (Baa3), East Rand Water Care Company (Ba1) and the South African National Roads Agency (Ba1). Moody's on Wednesday morning said it has placed various short- and long-term ratings of Barloworld, Fortress REIT, Hyprop Investments, Imperial Group, Redefine Properties, Telkom, The Bidvest Group and Transnet on review for downgrade. "[The] rating actions on the eight South African corporates follow the weakening of the South African government's credit profile, as captured by Moody's decision to place the sovereign ratings under review for downgrade on November 24 2017," it said. The group also placed certain debt issuer ratings of insurance groups Discovery, Guardrisk Insurance Company and its related Guardrisk entities, the MMI Group, Old Mutual Life Assurance South Africa, Old Mutual Plc, and Standard Insurance on downgrade review. "Moody's considers these insurance groups' key credit fundamentals (asset quality, capitalisation, profitability and financial flexibility) to be partly correlated with - and thus linked to - the economic and market conditions in South Africa, where they are domiciled and have significant operations," said Moody's in a statement. It said that, like SA municipalities, the question of whether the insurance groups would be downgraded when the review is complete is linked to SA's sovereign credit rating. "Any further deterioration in the creditworthiness of South Africa and/or weaker macro profile would likely result in downgrades of the insurers' ratings, in view of their linkage to the sovereign through meaningful direct and indirect - through the banking system - exposure to sovereign debt." The long-term local and foreign-currency deposit ratings of five South African banks have also been placed on review for downgrade by the rating agency. These include Standard Bank SA, FirstRand Bank, Absa Bank, Nedbank and Investec Bank. The long-term debt of all of these five banks is currently rated at Baa3, or one notch above investment grade. "[The] rating review action is driven primarily by the potential weakening of the South African government's credit profile, as captured by Moody's recent decision to place South Africa's Baa3 government bond ratings on review for downgrade, which affects the banks through their sizable holdings of sovereign debt securities," said Moody's on Wednesday. It said the creditworthiness of the banks is "inevitably" linked to that of the national government. It also noted that the banks are operating in an environment of weak economic growth, which "poses the risk of further undermining consumer and investor confidence, increasing asset price volatility and funding costs". Moody's previously said that its review of SA Inc would be concluded after 2018's main budget in February. "The review period may not conclude until the size and the composition of the 2018 budget is known next February. This will also allow Moody's to assess the policy implications of political developments during the review period and the likelihood of pressures on South Africa's key policymaking institutions persisting," it said on Friday, when it placed SA's sovereign debt on downgrade review. As Fin24 previously reported, government's Presidential Fiscal Committee and Cabinet will meet over the next two weeks to work out plan that could cut spending or tax increases of R40bn to strengthen the fiscus to stop SA from falling into full junk after the review period is complete. “In the 2017 Medium Term Budget Policy Statement chapter on fiscal policy, we indicated that additional spending cuts or tax increases of R40bn (0.8% of GDP), would be required from 2018/19, in order to stabilise public debt below 60% of GDP over the next decade,” Treasury said in a statement on Friday.